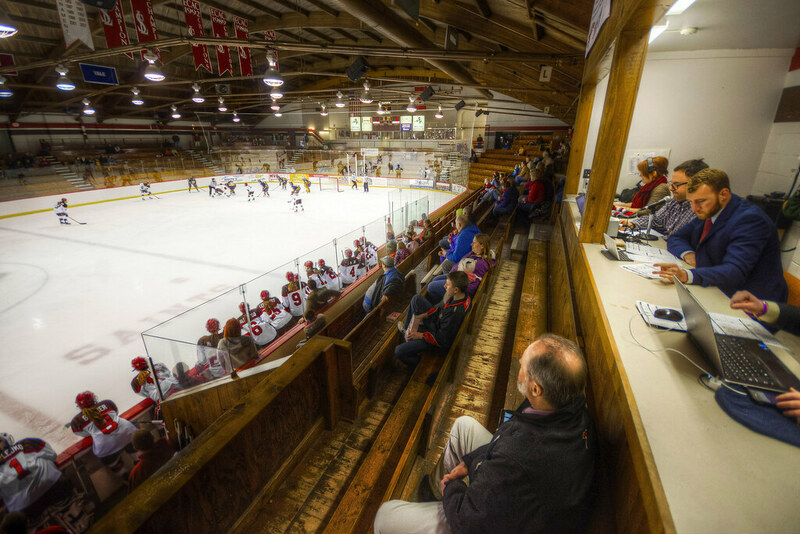 The ice hockey season is winding down in the North Country (always much earlier in the winter than I expect), but I captured the last of the women’s games at St. Lawrence’s Appleton Arena. The school is on mid-winter break, so the crowd in the wonderful, old, wooden bleachers are a bit thin. We cheered all the harder when the Saints crushed higher-rated Quinnipiac 3-0. Nice wide angle image. At least I think it’s wide angle. It is wide angle! I love being able to fit so many different things in one image; it reminds me of paintings that are made up of all sorts of combined vignettes.